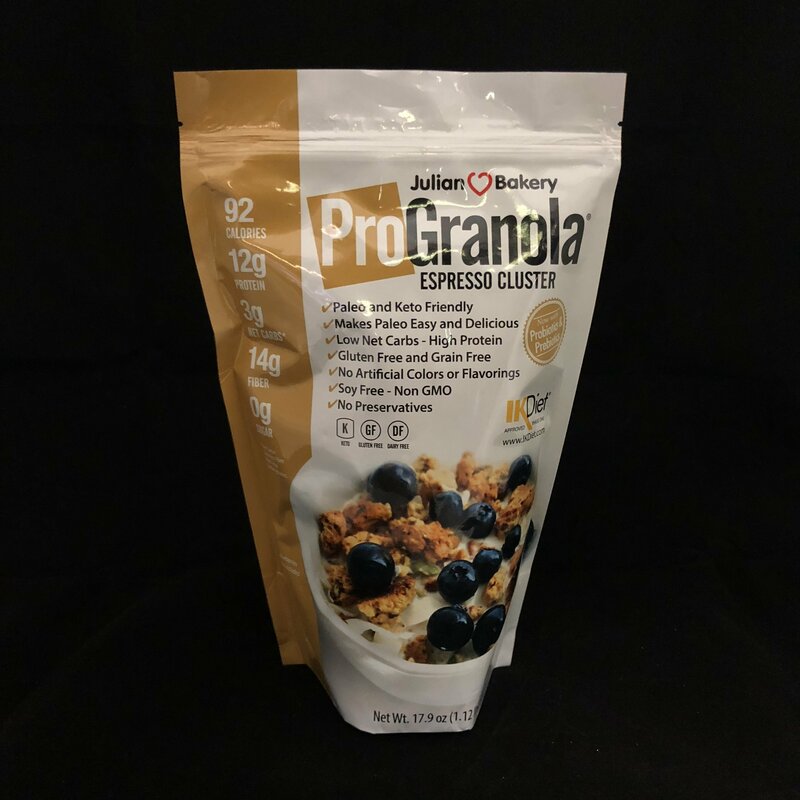 Julian Bakery is proud to present the ultimate Espresso/Coffee Paleo Granola Cereal. This Paleo Cereal is amazing and has a delicious coffee taste with 100mg of Organic Green Cofee Caffeine, Vegetarian and Paleo high protein Paleo cereal puts the crunch back in your food plan without setting you back. ProGranola cereal comes with a packed granola cereal bag with 15 servings (34g Per Serving) in each item. Finally a granola that is keto, soy free, gluten free, grain free, low carb, and delicious. Our carefully formulated high protein granola was specifically formulated to be Paleo & IKDiet compliant and contains 12g egg white protein per serving and curbs appetite with organic prebiotic fiber. This unique espresso/coffee tasting crunchy granola kids and adults love and is a true delight.